Although Harriett Lake couldn’t explain her devotion to clothes, something led the Orlando fashion icon and philanthropist to spend her life collecting the most unique and eye-catching outfits and accessories. 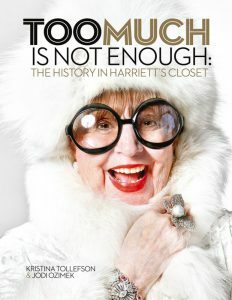 A new book titled “Too Much is Not Enough: The History in Harriett’s Closet” by Kristina Tollefson, a costume designer and associate professor of theatre at UCF, and Jodi Ozimek captures the fascinating life of Lake, connecting her stunning collection with the events that defined her life and legacy. When Tollefson joined the UCF faculty, she heard about a local woman who owned every piece of clothing she had ever purchased. Knowing that this would be a unique opportunity to research vintage clothing and could provide a useful teaching tool for her students, she set out to meet this legendary woman. Tollefson and Ozimek’s novel, “Too Much: Is Not Enough,” provides a peek inside Lake’s closet. At first, Tollefson’s main draw was Lake’s closet. 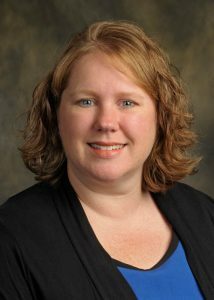 But as their relationship grew, Tollefson began to see connections between Lake’s stories and the recurring themes in her closet. “This was an amazing opportunity to work at documenting a single person’s collection with the provenance of each piece—not just where she bought it and wore it, but the events in her life that influenced her to make the purchase in the first place even if those life events took place 80 years previously.” Tollefson explained that most vintage collections are from many different people and rarely do we see such a large collection from an individual. Kristina Tollefson teaches costume and make-up design in UCF’s Department of Theatre. This one-of-a-kind fashion biography follows Harriett’s life through the Great Depression as a child, her service as a Marine during WWII, her flight from heartbreak to Miami Beach followed by her marriage to Hymen Lake and accumulation of wealth (and swelling closet full of jaw-dropping fashion pieces) thanks to the real estate boom brought on by the theme park and space industries. Tollefson and Ozimek guide readers through her extraordinary journey by connecting her life experiences to her fashion choices, explaining why she had so many red coats and what filled her pockets. Tollefson’s new book is more than just a passion project. She wants it to be a resource for her colleagues across the design community. 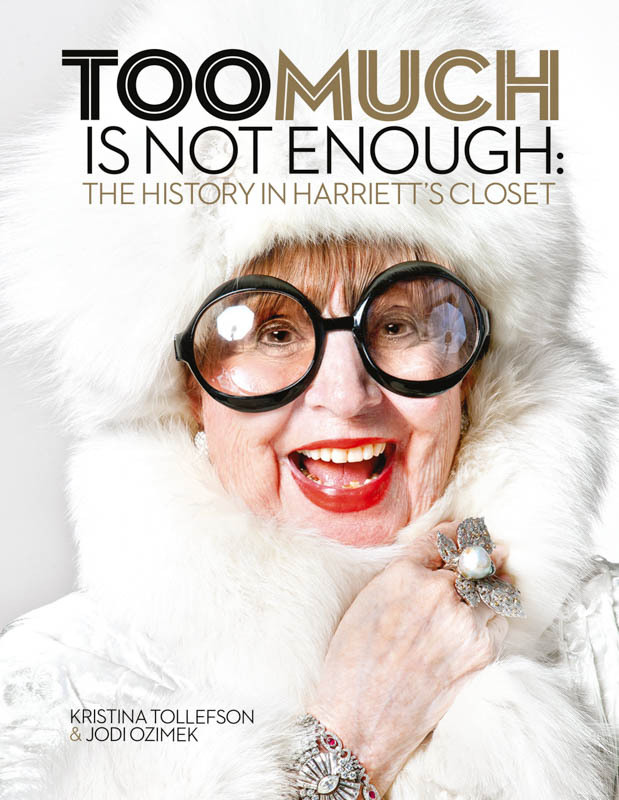 A book release party to celebrate the launch of “Too Much is Not Enough: The History in Harriett’s Closet” will take place on Sept. 27 from 5 to 7 p.m. in Harriett’s Bar at the John and Rita Lowndes Shakespeare Center (812 E Rollins St, Orlando, FL 32803). The authors will read from the book and will be available to sign purchased copies of the book at the event.